Stanley is the capital of the remote Falkland Islands, and –although Argentine authorities have repeatedly claimed the islands as part of their country- has a distinct British ambience. A reminder of the 1982 Falkland War between Britain and Argentina is the War Memorial. Opt to take a ‘city tour’ by bus with a local guide or stroll through the charming streets of this colourful little town, lined with quaint cottages and a variety of traditional pubs. Visit the 19th-century Anglican cathedral (the southernmost Anglican cathedral in the world) and wander through the Falkland Islands Dockyard Museum. For stamp collectors a visit to the Philatelic Bureau is a must. Bleaker Island is privately owned, with sheep and Hereford cattle grazing on its extensive greens, yet it is also an excellent site for birding. The Bleaker Island Group is recognized as an Important Bird Area and its northern part is a National Nature Reserve. Landing at Sandy Bay, not too far from Ghost Island, you will see Magellanic and gentoo penguins. Several colonies of southern rockhopper penguins breed at Long Gulch, and on the walk watch out for crested and striated caracaras, ruddy-headed geese, silvery and white-tufted grebes, as well as speckled and silver teal. While rock cormorants prefer Long Gulch, the imperial cormorant has its main colony in the centre of the island. During lunch Silver Cloud will sail to Sea Lion Island. 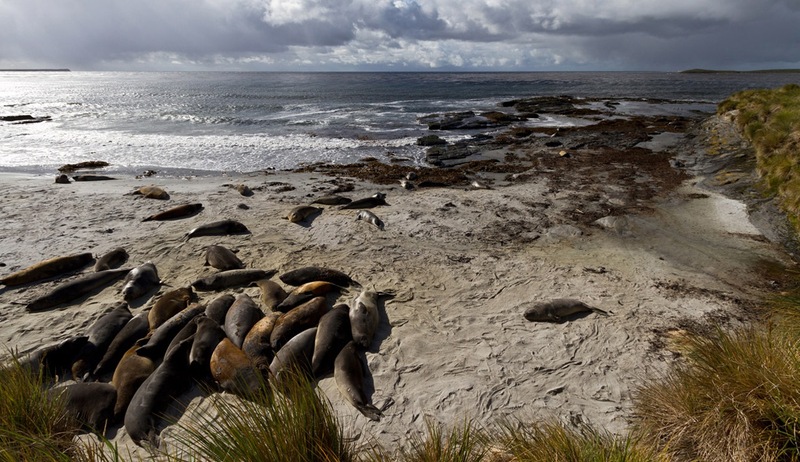 As the name suggests Sea Lion island was and is home to southern sea lions, but it also holds some 95% of the Falklands southern elephant seal population. Although the breeding season ends in November, yearlings and non-breeders come ashore in late November and can be seen until April. Because of the penguins and the seal populations and the deeply shelving coastline, this island is one of the best places in the Falkland Islands to see orcas (killer whales) –there are two resident pods. While riding a Zodiac ashore or back to the Silver Cloud, Commerson’s dolphins are likely to be seen. While ashore, Cobb’s wren and tussacbirds are easily found. The Drake Passage has a notorious reputation for its turbulent seas due to the westerly winds and the funnelling effect of the passage. 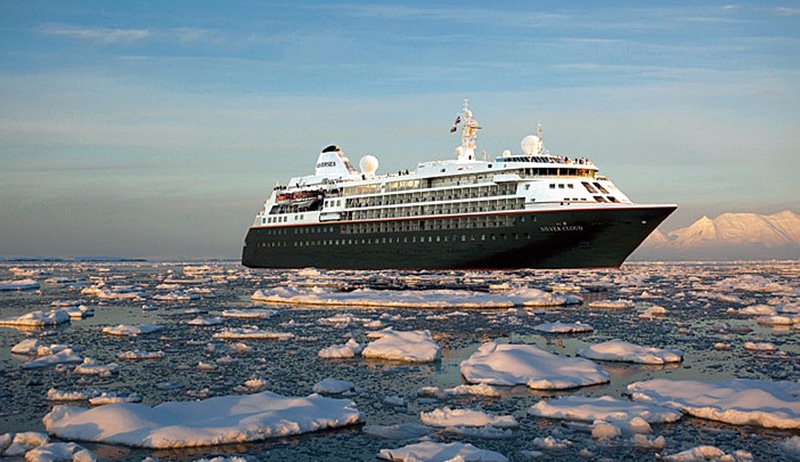 With modern navigational aids and stabilizers Silver Cloud will bring you safely across these southern waters. Spend some time on deck watching the horizon and the variety of seabirds that glide in the air currents of our ship’s wake -such as the Wandering Albatross, Cape Petrels, White-chinned Petrels and Sooty Shearwaters. Brown Bluff is an ice-capped, 745-metre-high, flat-topped mountain with a prominent cliff of reddish-brown volcanic rock. Adelie and Gentoo Penguins, Kelp Gulls, and Cape Petrels use the base of Brown Bluff as a breeding area. Birds such as the all-white Snow Petrel and skuas may be seen from a distance. Weddell seals may be seen basking in the sunlight near the base of a glacier. The sight of Adelie Penguins covering the entire island is quite amazing. The island is home to 80-90 thousand Adelies that come here to breed. On a nearby hill is a massive colony of Blue-eyed Shags. Kelp Gulls and Snowy Sheathbills are amongst the birds that also breed on Paulet Island, and Wilson’s Storm-petrels are regularly seen. Members of a Swedish Antarctic expedition had to over-winter on the island in 1912 after their ship was ship-wrecked. Remnants of their hut still remain and you will have to walk past the hut on your way to the islands lake. 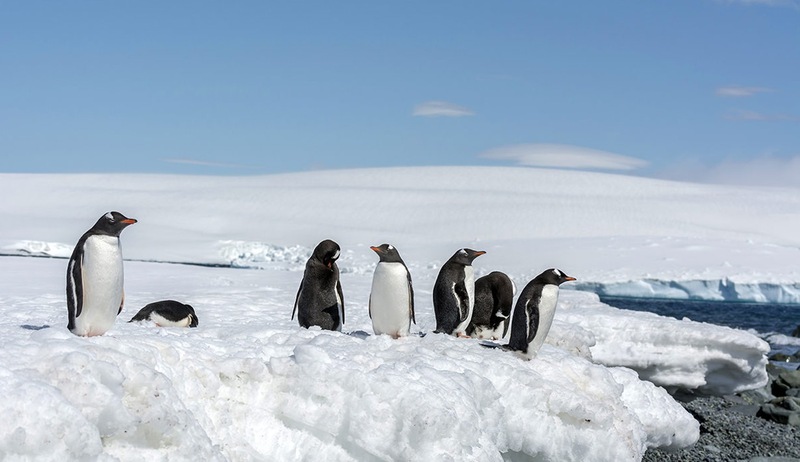 Large, bare rock areas provide nesting sites for Gentoo Penguins. Snow Petrels and Cape Petrels also may be seen, whilst Wilson’s Storm-petrels nest in the higher scree of the island. During Zodiac tours, hauled-out Weddell and Antarctic fur seals are quite often encountered. The bay is well named for its spectacular scenery of mountains, glaciers and icebergs. The Silver Cloud will reach Argentina’s “Base Almirante Brown”, one of many Antarctic research stations. Here, you will actually set foot on the mainland of Antarctica. You can also view the wildlife from sea level while cruising in our Zodiacs. 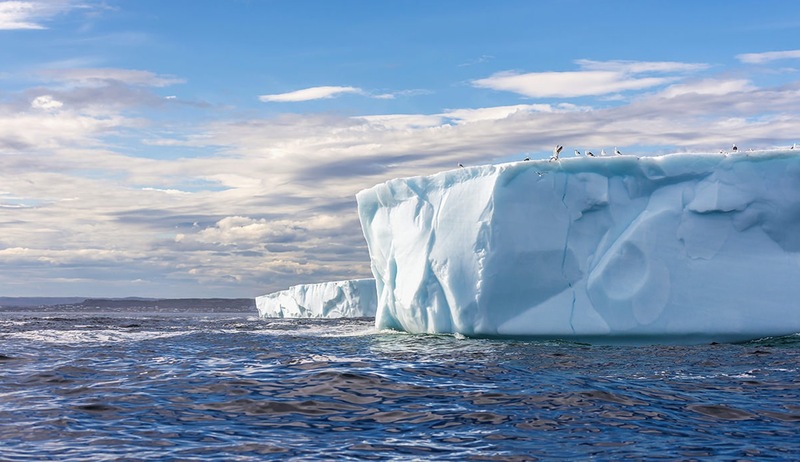 Apart from observing nesting shags in the cliffs there is a good chance to see crabeater seals relaxing on ice floes, and you might even locate Minke whales. The Lemaire Channel (named by Adrien de Gerlache after a Belgian explorer who never came to Antarctica) was first crossed in 1898. 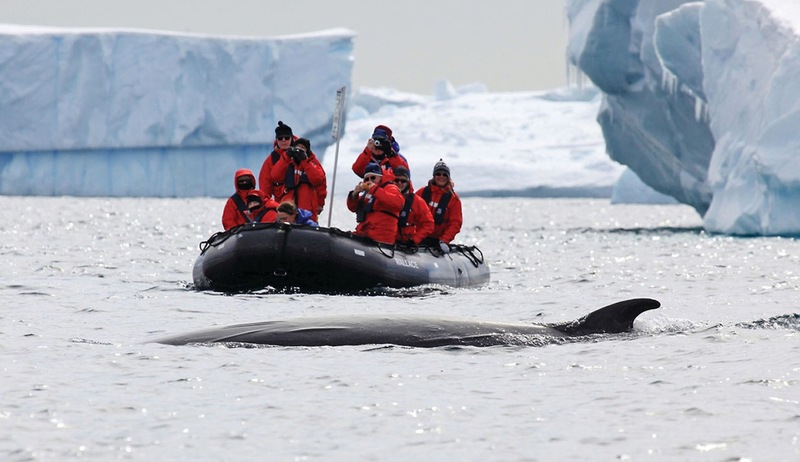 The spectacular scenery of the steep snow-covered mountains and the tranquil waters in conjunction with the probability to see whales and seals will make this one of the most memorable places during the voyage. Deception Island is an excellent example of a caldera that can be reached from the sea. We plan to sail inside the caldera through a narrow entrance called Neptune’s Bellows. Our Geologist might take the opportunity to explain the unique volcanic features of the area, while our Historian will introduce you to Deception Island’s interesting history -from whaling to scientific studies. Still visible on the island are the boilers used to make whale oil in the early 1900s.